When to Opt for Laminate Material? What are the advantages of Laminate? What are the Disadvantages of Laminate? How many people go for Laminate countertops? Laminate countertops have made its place in kitchen countertops market because of its cheap price, stain resistance, non porous nature. It also has wide range of designs. 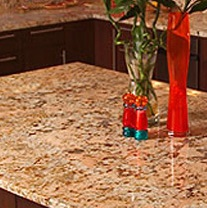 Laminate countertops comes in many designs including replicas of natural stones and stainless steel. 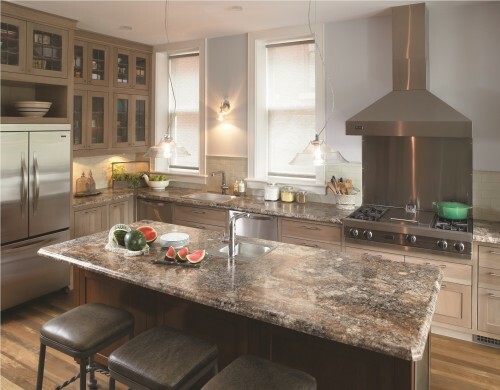 When to opt for Laminate as countertop material? Many people go for laminate because they are inexpensive, easy to clean, are non porous, have wide range of colors and designs. People opt for nice designs over durability as they want to change the look of the kitchen very often. If you want to go for a beautiful and classy countertop at an average price of $20 - $75 per square foot then choose laminate countertop. They give you the sleek look of marble, granite and even stainless steel. If you get bored with your kitchen countertop easily then going for laminate is a smart choice as you can replace the whole countertop at a very low price. 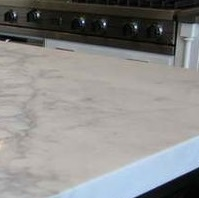 Laminate is resistant to stains and is waterproof like marble or granite which are expensive countertop material. Laminates to do not get stained by citrus juices like wine or orange juice as they are non porous material. It is also Bacteria resistant as the surface is non porous and it does not allow any liquid to seep in. 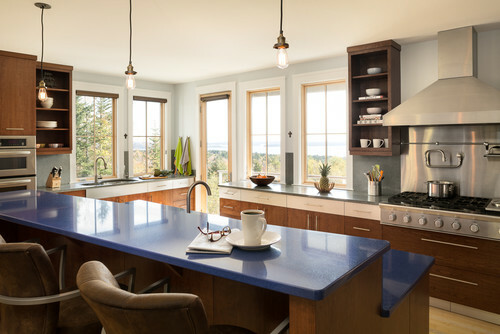 If you are not satisfied with design and color options available in other expensive countertop materials, then probably you will find a suitable design and color option that fits your dream kitchen. Laminate comes in many color options and designs but you will get confused if you see too many options. 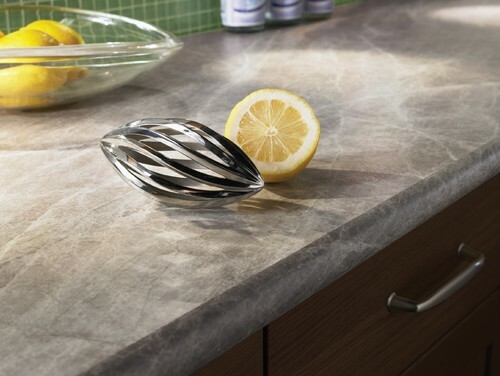 Unlike granite you don’t need to seal or reseal it again and again. Just use a soft cloth and detergent and it shines back. If any liquid falls then you don't need to worry that it will stain your countertop, you can clean it easily with soap and water. Sharp knives and blades can put scratches on them and they cannot be repaired so it is advised to use a cutting board for chopping. 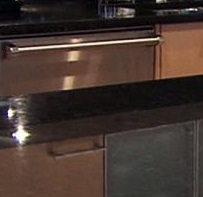 It is not a durable countertop as it can easily get scratched and you can't put hot objects on them either. It is not heatproof like other naturally occurring stones. 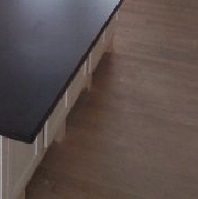 Cracks appear in the laminate countertop and they cannot be repaired easily. Using harsh cleaners like bleach or any other strong chemicals can harm the surface. In laminate the color of the countertop can fade if they are exposed to direct sunlight or UV light for a long time. 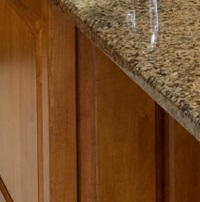 Seams are visible easily in laminate countertop, but choosing certain colors and patterns can make them less visible. Certain cracks and scratches cannot be repaired easily so in that case you will have to replace the whole countertop. 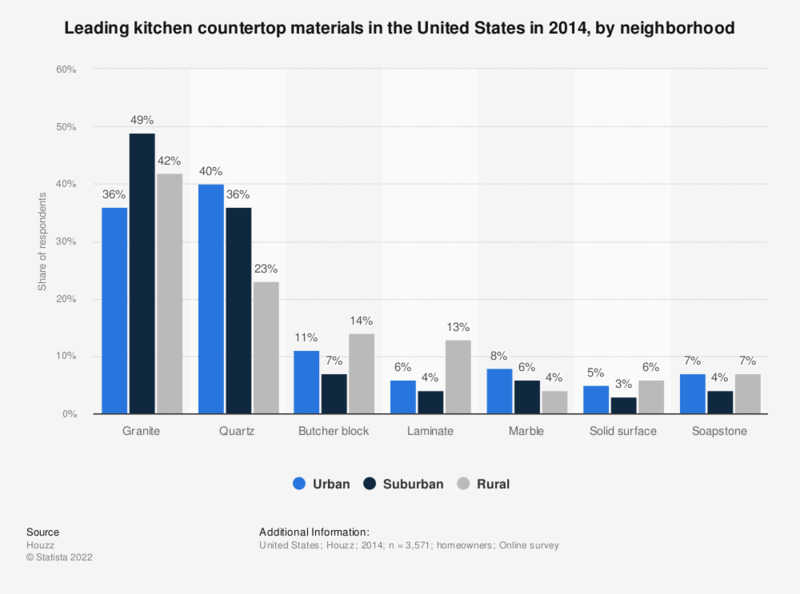 This statistic represent the leading types of kitchen countertop materials used in the United States in 2014, by neighborhood. 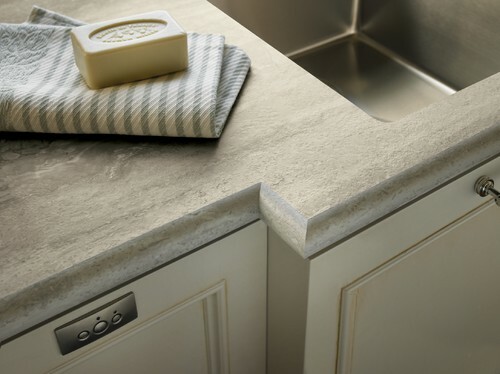 The survey shows 13 % of the Rural population have Laminate countertops.